I’ve said over on my Resources tab that I love to read. Lately I’ve been a maniac on my library’s website, reserving all kinds of books. 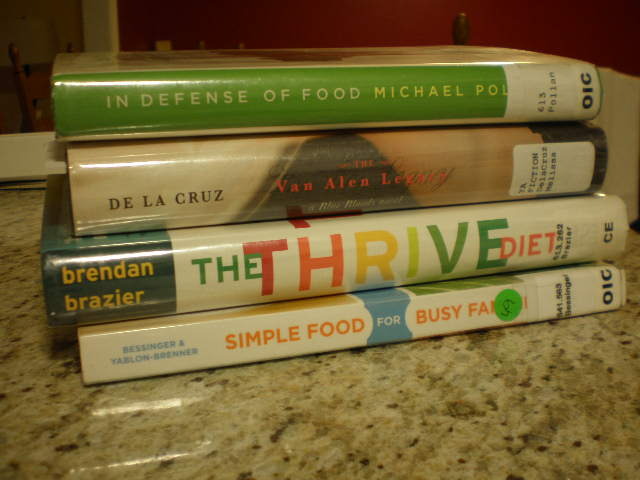 Yesterday I went to the library on my lunch hour and had FOUR more books to pick up! Veganomicon by Isa Chandra Moskowitz & Terry Hope Romero – authors of Baked Pumpkin Ziti! Hopefully I’ll be able to read all these before I have to return them. If not I can always just check them out again. That’s the beauty of the library. I love it! What books are you reading right now? Or what would you like to read if you had time? They don’t have to be food-related books! Thanks for the book recommendations. I’m also looking to add to my library list. 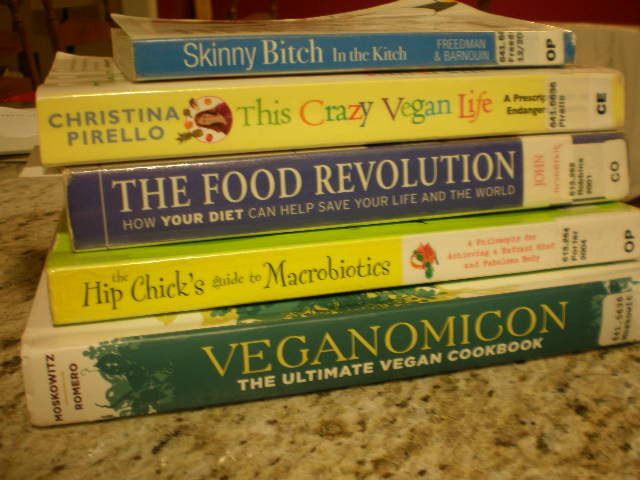 I have been reading food books for the past year or so. Just this week I read Dr. Joy’s “Why We Love Dogs, Eat Pigs, and Wear Cows: An Introduction to Carnism.” It’s certainly not for the faint of heart, but it will make you think twice about eating meat.